UK café culture goes from strength to strength; coffee shop chains now adorn every corner and we are now a nation of hot beverage aficionados. However, within this growing market, the quintessential British tea room is having its own comeback. 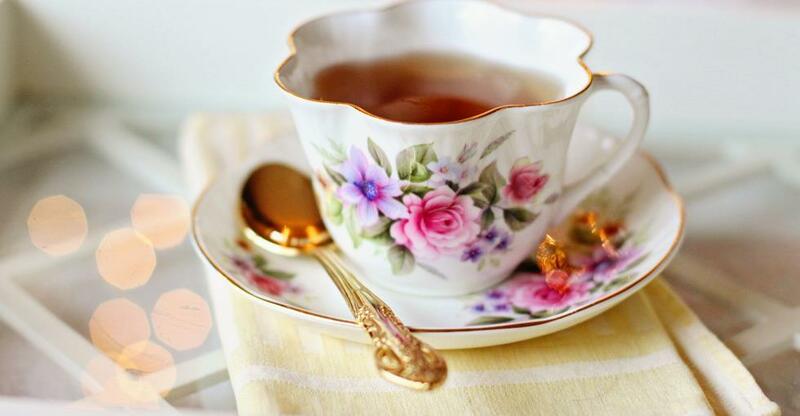 The UK’s obsession with vintage, and English nostalgia mean that tea rooms, afternoon tea, sponges, scones and tea sets, are no longer considered old-fashioned or conservative. The British tea room is in fashion and here to stay. £7.9 billion was spent by customers in UK coffee shops this year. The global tea market is predicted to grow to $21.33 billion in 2024. The café industry seems to be an ever-growing market, however, due to the increasing numbers of cafés, and the dominance of larger chains, it’s a competitive market. Within this busy landscape tea rooms can be a way to offer something more unique, more personalised, more upmarket and more luxurious. But how do you go about buying a UK tea room? bunting, however running a tea room is not all peaches and cream. Like any other catering business, the hours can be long and it is likely that your tea room will be open from 11am to 6pm, or longer, depending on where it is located. This is a long working day, and you will have peak hours such as lunchtime and 4pm (the traditional afternoon tea slot) where you can expect an influx of guests looking for excellent customer service. As with other customer-facing businesses you must also be prepared for, and excited by, the prospect of working with members of the public on a daily basis. You must have excellent social skills and be committed to ensuring excellent customer service. Tea rooms, in comparison to other types of cafe, are offering an experience, so the service is even more important. Be aware that the majority of your business will probably come from two clear customer bases; tourists, and party groups. Tea rooms are a popular activity for both domestic and international tourists who are looking for an authentic local experience. Additionally, they are increasingly popular as a celebratory activity, hen-dos, birthdays, reunions etc. Consider whether you can cater to the needs of these two specific groups, if you can’t this might not be the business for you, and you may struggle to run a profitable business. Modern tea rooms are imaginative and offer additional services and products to tempt customers inside. Some run afternoon tea with bottomless champagne, for example, or specialise in providing a huge array of cakes and types of tea. Many make the most of their heritage and are vintage inspired tea rooms, but others have a Japanese or French theme. If you have bright ideas of how you can make your tea room unique then this is an indication that this is the right business choice for you. Once you are sure this is the right business idea for you, you need to find a business premises and start the process of buying. Buying an established tea room is one way to avoid some of the difficulties of launching a brand-new business. Look for an existing business with regular customers, and a positive reputation, but that has room for reinvention and improvement. Simultaneously research nearby competitors and make sure you have a market for your tearoom. Make sure to learn from other businesses shortcomings, and be ready to replicate features that are working well. The location of your tea room is of utmost importance. If you have found a business that you think is perfect, you still need to make sure the location is right. Aside from calculating whether there would be enough footfall to make your business profitable, you should also consider things such as nearby attractions, local competition, and transport links and parking. Your tea room won’t even stand a chance if you do not get its location right.Is there a market for your kind of tea room? Who might it attract and are there enough of those kinds of customers in your chosen area? Once you are sure it really is the right tea room, in a good location, you need to raise finance. You may have some money ready in preparation for this career move, or you may have to visit the bank for a loan. When presenting a business plan, and asking a bank for money, you must have thought through absolutely every aspect of your new business and be ready to answer any questions or concerns about its potential to make money. This is good for you as a business owner, and vital if you’re to secure the cash input you need. Once you have the money in place you can make an offer on your dream business. You will need to negotiate the best price, and potentially consult lawyers and business experts to help you secure a deal. During the negotiation process, and following an offer acceptance, you need to conduct due diligence and make sure that everything is as it seems. You should have the support of a seasoned professional at this stage. If any skeletons emerge it is now that you can go back to the existing business owner and re-negotiate the price accordingly. It is your prerogative to make sure you know everything about the business you are buying. If you discover any negatives you need to decide whether you are happy to continue. Once you have been through due diligence and are sure you are getting the business you want, you can seal the deal. Your lawyers should have drawn up the relevant paperwork and at this point, you can exchange contracts and make the purchase payment. Finally, it’s time to celebrate and you can put all those great ideas into practice. This niche market is growing, and the British tea room is an attractive business prospect with real potential. There are also numerous existing tea rooms and cafes ready to be re-imagined as your dream business.